On November 29 and 30, the White House, the Stanford University Center on Poverty and Inequality, and the Chan Zuckerberg Initiative co-hosted the Summit on Poverty and Opportunity. 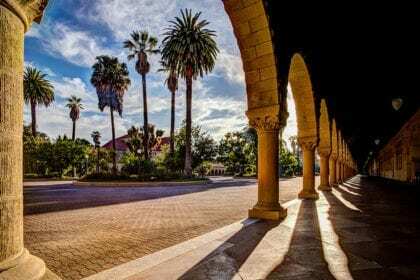 Held at Stanford, the event brought together “275 high-level players in technology, philanthropy, community service, government, and academia” to listen to and participate in a series of panel discussions on social and economic policy and the role of technology and big data. – Sam Altman, president of the startup incubator Y Combinator, and the initiator of its plan for a basic income experiment. Y Combinator is currently running a pilot study of a basic income in Oakland, with plans for a larger scale experiment in the future. – Chris Hughes, a co-founder of Facebook and (as of this month) a co-chair of the Economic Security Project, which will be distributing $10 million in grants to support basic income projects in the US. – Juliana Bidadanure, an assistant professor in Stanford’s Department of Philosophy who specializes in political theory and public policy. Bidadanure will be teaching a graduate seminar on the philosophy of basic income in winter 2017. Future of work expert Natalie Foster moderated the discussion. All four participants are supporters of universal basic income. Bidadanure, Hughes, and Altman, respectively, begin the panel by describing how they came to interested in basic income and outlining their reasons for supporting such a policy. Following these introductory remarks, discussion turns to past and present basic income experiments: Altman talks about Y Combinator’s newly launched pilot study, Hughes describes the work of the charity GiveDirectly, and Bidadanure lays out the results of past experiments in Manitoba, Namibia, and India. Altman additionally stresses the ability of a basic income to alleviate financial anxiety for people who currently live paycheck to paycheck. Finally, panelists present their thoughts on the question of how to finance a basic income. Due to concerns about feasibility, Hughes proposes beginning with a small basic income of $100 or $200 per month; Bidadanure and Altman, however, raise concerns with the implementation of a basic income that is it not sufficiently large to allow for freedom and security. Nitasha Tiku, “Stanford, The White House, And Tech Bigwigs Will Host A Summit On Poverty”, BuzzFeed News, November 28, 2016. Kate McFarland has written 512 articles. Former lead writer and editor of Basic Income News. The views expressed in this Op-Ed piece are solely those of the author and do not necessarily represent the view of Basic Income News or BIEN. BIEN and Basic Income News do not endorse any particular policy, but Basic Income News welcomes discussion from all points of view in its Op-Ed section. Can basic income ensure distributive justice in India? Except where otherwise noted, content on this site is licensed under the Creative Commons license CC BY NC SA.